The local on-site investigation wrapped up Wednesday ahead of the release of an official report expected later this week on a cause for the explosion and fire. The National Transportation Safety Board announced Wednesday it's launching its own investigation. 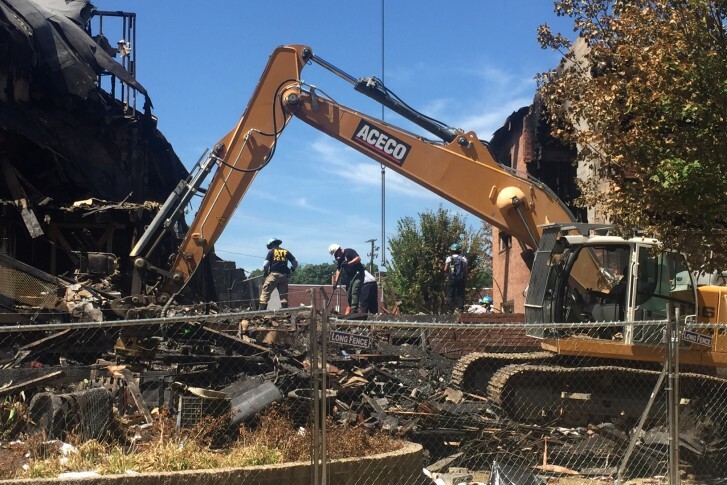 WASHINGTON — A week after an explosion and fire ripped through a Silver Spring apartment complex, investigators say they’re getting one step closer to identifying a cause for the deadly blaze and to identifying seven bodies that have been pulled from the wreckage. 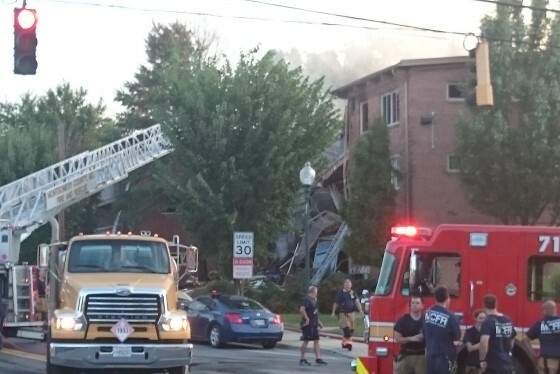 The Montgomery County Fire and Rescue Service officially wrapped up its on-site fire investigation at the Flower Branch apartments on Wednesday, according to Pete Piringer, the fire department spokesman. Piringer says that investigators determined that the fire appears to be “accidental in nature,” but the exact cause hasn’t been determined yet. Meanwhile, the National Transportation Safety Board announced Wednesday it’s launching its own investigation into the explosion. The NTSB is best known for investigating plane and train accidents; however, the agency also reviews gas pipeline safety. Up to this point, NTSB investigators had only been assisting local authorities. The Bureau of Alcohol, Tobacco, Firearms and Explosives, which had dispatched a special squad to investigate the scene last week, is expected to issue a final report on the cause of the explosion and fire in the coming days, according to the head of Baltimore’s ATF office Daniel Board. “I would estimate that we hope to have something resolved and formalized by the end of the week,” Board told WTOP. Earlier this week, crews from Washington Gas tested gas lines near the scene of the explosion. Several residents of the building had reported smelling the odor of natural gas in the weeks before the explosion, and the fire department was called to the complex about two weeks before the explosion to respond to reports of a gas odor. Police have yet to identify the seven sets of remains that were recovered from the site. Police have asked family members to provide DNA samples in order to help identify the remains, which are currently with the Office of the Chief Medical Examiner in Baltimore, a Montgomery County police spokesman said. Investigators have said it may be some time before the victims are identified, given the condition of the bodies. Police have already released the names and photos of the seven people who are still missing and believed to be dead. WTOP’s Nick Iannelli contributed to this report.